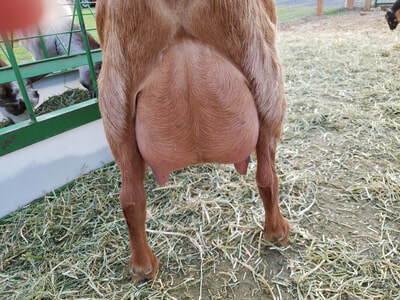 Lina's dam, Faline's 2nd freshening udder, side view, foreudder attachment. 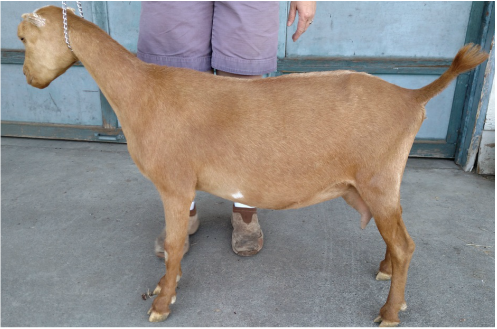 Pictures of Faline courtesy of Goldenwood Farm and Justine Norquist. 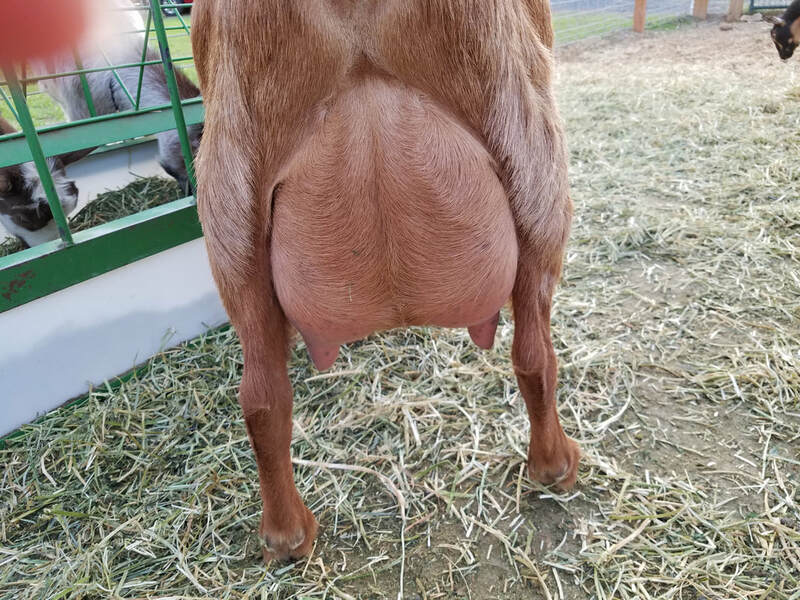 Faline's 2nd freshening udder rear view, excellent medial support.